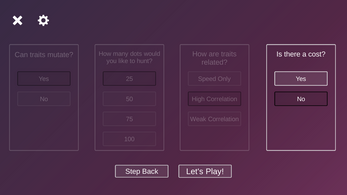 Populations change over time, and one of the strongest forces shaping populations is predation. 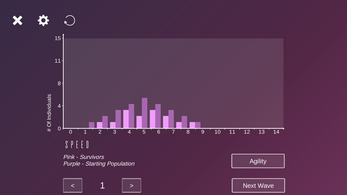 As predators hunt prey, they remove certain individuals, and as a consequence, the genes that encode that individual from a population. 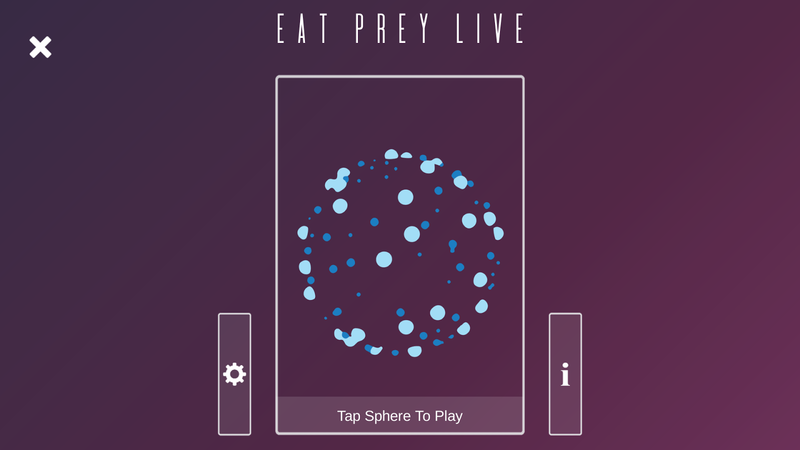 In Eat Prey Live, players take the role of a predator that hunts dots. 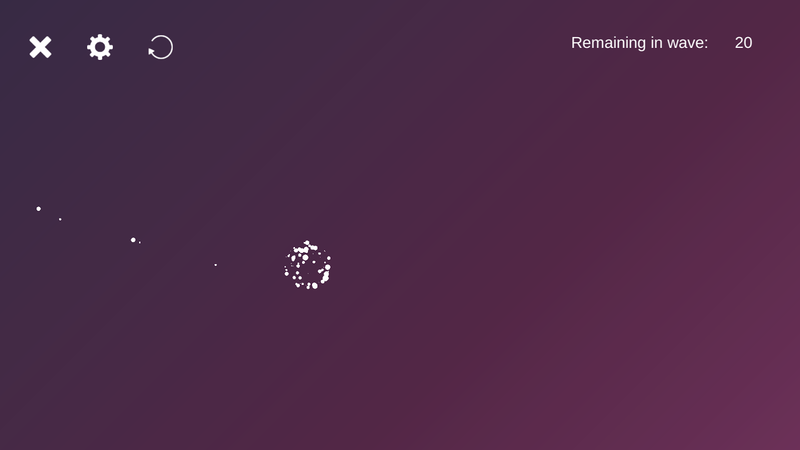 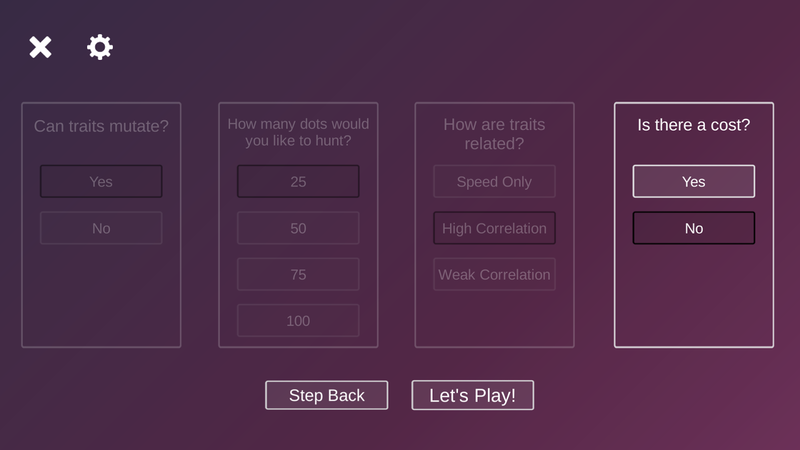 Players start by creating a population and are then allowed to hunt their dots. The dots vary in speed and maneuverability and hunting them changes the traits of the future population. 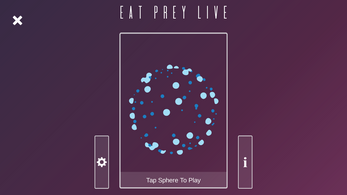 While playing Eat Prey Live, layers learn about how selection functions, and how populations change through time. 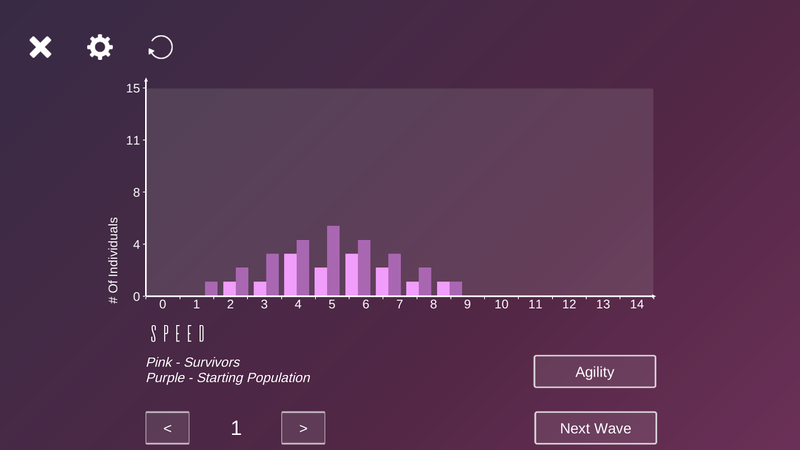 Sandbox variables: population speed and maneuverability, a trade-off between size and maneuverability, size of the waves, an energetic cost of hunting, and the benefit gained from a kill.